When is a boy like a pony? When he is a little hoarse. 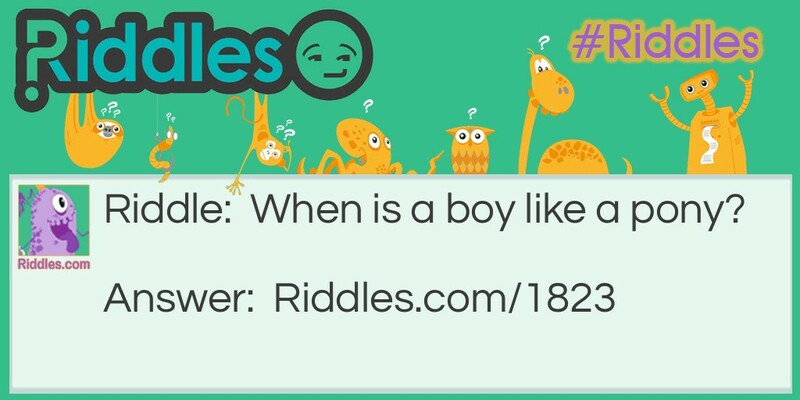 Pony Boy Riddle Meme with riddle and answer page link.